14K Strawberry Gold® Passion Ruby™ 3/4 cts. Ring with Vanilla Diamonds® 1/6 cts. Ruby has the distinction of being the most valued gemstone throughout most of recorded history. Ancient Sanskrit referred to the ruby as the "king of precious stones", the bible found only wise and virtuous women more precious than rubies and the Persian sage al-Biruni wrote about rubies the first place in color, beauty and rank among all gems. The name Ruby comes from the Latin word ruber for its hue. The strength of red in the ruby depends on how much chromium is present—the more chromium, the stronger the red color. Chromium can also cause fluorescence, which adds to the intensity of the red color. The brilliant crimson color of this gem is associated with passion and love, making the ruby an ideal choice for engagement rings. 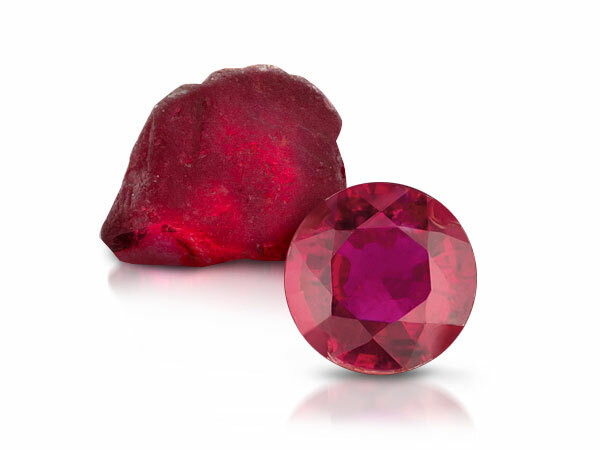 There are many famous rubies throughout history, two of which can be seen at the Smithsonian Institution, National Museum of Natural History including the 138.72-carat Rosser Reeves Star Ruby from Sri Lanka and the 23.10-carat Carmen Lucia Ruby which is considered one of the world's finest large Burmese rubies. 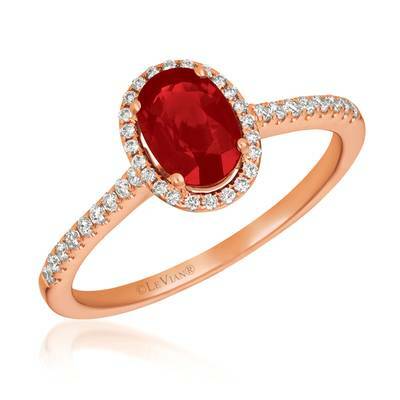 Le Vian® Passion RubyTM comes from Mozambique. "Passion RubyTM, the July birthstone, embodies our passionate red color and represents the top of production of responsibly sourced ruby." Please first enable cookie then you can access this site. We have recently updated our terms and conditions to reflect improvements we have made to this site and all of our other Le Vian platforms. Click to read our updated Terms and Conditions.